Community Corner - Featured Local Business : Roger’s Tailoring. myki, Melbourne's new public transport ticketing system, is now fully operational at Patterson Road Tatts, News & Post. To use myki, first purchase and register your myki card which is available for $6.00 plus a minimum of $1.00 myki money. Once you have your myki card you can call in to top it up with two types of value - travel days (a myki pass) and a dollar amount (myki money). You can choose to top up with either or both, depending on how you use public transport. We’ll be pleased to help you to select the right myki top up option to suit your public transport travel needs. On behalf of the Herald Sun, Patterson Road Tatts, News and Post invites you to take part and collect your very own 2012 3D AFL Collector Cards set. The 2012 3D AFL Collector Cards set contains 18 packs of 12 3D cards including an exclusive display album and two sets of 3D glasses. Offer is only available while stocks last. Order now for just $34.00, with tokens from the Herald Sun from 21 April 2012 to 9 May 2012 or $19.95 for 7 day Herald Sun home delivery customers. You can also choose to have your set home delivered for $2.95 or simply pick it up from Patterson Road Tatts, News & Post. To place your order visit www.pattersonroad.com.au/3dafl to order online, call us on: 9557-5794 or visit our friendly staff in store at 51 Patterson road Bentleigh, 3204. Our greeting card department is getting a makeover with a new range and upgraded display to make it easy for you to find the perfect card for any occasion. 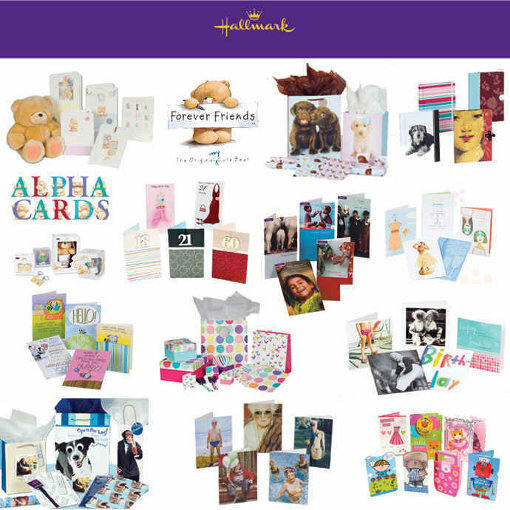 A great new range of greeting cards from Hallmark will feature in the updated display. When you need a greeting card to mark a special occasion you will be sure to find the perfect card at Patterson Road Tatts, News & Post. The 2012 official AFL Football Cards are proving to be as popular as ever with the Team 2012 and Select AFL Champions cards selling fast. Team 2012 AFL Football Cards and Select AFL Champions Collector Cards are available for just $2.99 a pack. Build your collection today while there’s still plenty of stock available! Fax - Need to have a document sent to you quickly? We can receive a fax for you at any time and it will be waiting for you to pick up during our open hours. 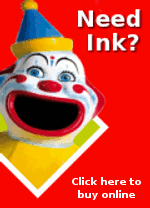 Give the sender our fax number 9557 3060 and have the fax addressed to you and we will hold it for you to pick up. Your faxes can also be sent Australia wide or overseas. To receive a fax: $1.00 per page. Within Australia - $3.00 for the 1st page and $1.00 each additional page. Overseas - $5.00 for the 1st page and $2.00 for each additional page. Laminate - Bring your documents along to be laminated with our quality laminating service. Roger's Tailoring is a well established business in the Patterson Road shopping strip. Expert tailors provide all types of clothing alterations at 75 Patterson Road as well as a second location at 42 Poath Road, Hughesdale. To find out more about the clothing alterations available at Roger's Tailoring visit their website at www.rogerstailoring.com.au. If you have a community event or local business you would like to promote here in "Community Corner" please contact gerard@pattersonroad.com.au. Convenient hours for your Bank@Post agency banking and Post Billpay are available at Patterson Road Tatts News and Post, seven days a week! popular powerball field games syndicates - the powerball is guaranteed!